Depicting extraordinary African landscapes with endless fields and sunny hillsides that overflow with bright colours, Safari Slots will warm your heart not only with its great outlook but also with its terrific financial offers. The game offers 5 reels and 10 paylines, a gamble option, a free spins game and more. As far as the eye can see all the way to the vast African horizon, players will come across great winning combinations that pay stunning prizes. 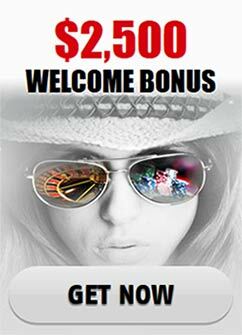 Both the wild and the scatter here provide gamblers with huge payouts. The wild is the Leopard. It has the ability to replace the rest of the symbols in the game except for the Lion scatter. Three of the scattered Kings of the Jungle (but obviously not of the safari) will unleash the free spins. Everything that is earned during the ten awarded free spins will get multiplied by three, resulting in exceptional winnings. Naturally three more Lions on the reels will deliver 10 more spins. The wild Leopard is the game’s highest paying symbol. It has four winning combinations consisting of matching symbols from 2 to 5. The payouts are 1000 for 2 symbols, 15 000 for 3, 150 000 for 4 and 500 000 for 5. As far as the scattered Lion is concerned, it also has matching symbol combinations from 2 matching symbols to 5 matching symbols, paying 2000, 5000, 20 000 and 100 000 respectively. Then there is the Rhino symbol and the Elephant symbol. Both of them share just three combinations from 5 matching symbols to 3. They pay 2500 for 3 symbols, 12 500 for 4 symbols and 50 000 for 5 symbols. The Antelope symbol and the Giraffe symbol also share payout values. For 3 matching symbol they provide gamblers with 1500 coins, for 4 they pay 7500 and for 5 they pay 25 000. The rest of the symbols on the paytable are the regular card symbols. The A and the K deliver 500, 5000 and 12 600 for 3, 4 and 5 matching symbols respectively. The Q and the J grant 500, 2500 and 10 000 for their three combinations. The 10 and the 9 give 500, 2500 and 5000 coins for theirs. Every earning that is won after a successful winning combination-delivering spin can be increased through the Gamble option by guessing the right suit or the right color. The correct color will increase the payout two times and the correct suit-four times. \Roam freely across the safari with no fears of getting hurt by any of the ferocious beasts you meet along the way-all they can do is provide you with lots of money and when they hunt, they will most definitely be hunting for you and make sure to deliver you rich spoils.